Hello Lovelies. Welcome back to Beautiful You! During the Christmas period I was kindly gifted this box of amazing Christmas themed nail varnishes from Coloristiq. They are a nail varnish rental company that stock OPI, China Glaze, Essie and Morgan Taylor varnishes. I was sent a box of three varnishes from China Glaze: Meet Me Under The Stars, Tip Your Hat and Chillin' With My Snow-Mies. 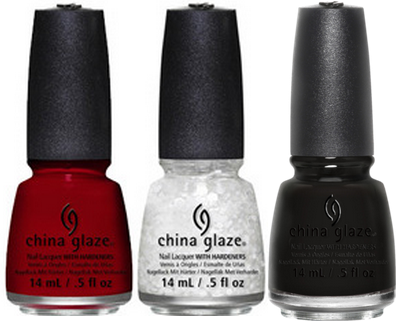 I think they have amazing names so I have to credit China Glaze for that! How they work is that you are able to choose three polishes from their website every month and they will be delivered to your door for £14.49 (which includes P&P). You then get to keep the product for 30 days which ensures up to 3 polishes, means 9 in total as you have 3 bottles per month. Then after the month is over you package them back up and send them back to the company and you repeat the process over again. I think that this is such a brilliant idea because I know I don't just speak for myself here but a lot of us girls have an abundance of nail varnishes stored in a cosmetic bag somewhere, half of which we don't use. Therefore this solves that problem, you still get the variety that you would want but you just don't have to buy an entire bottle of varnish. However if there was one particular nail varnish that you get sent and you like it so much you want to keep it there is no charge over and above after the 30 days. I know a lot of you are probably asking about hygiene and the fact that you have to share nail varnishes with other people but fear not it is all safe. On their website it states 'The chemicals, especially solvents found in nail polish (ethyl acetate, butyl acetate, tosylamide) kill all bacteria inside the bottles so there is nothing to worry about. 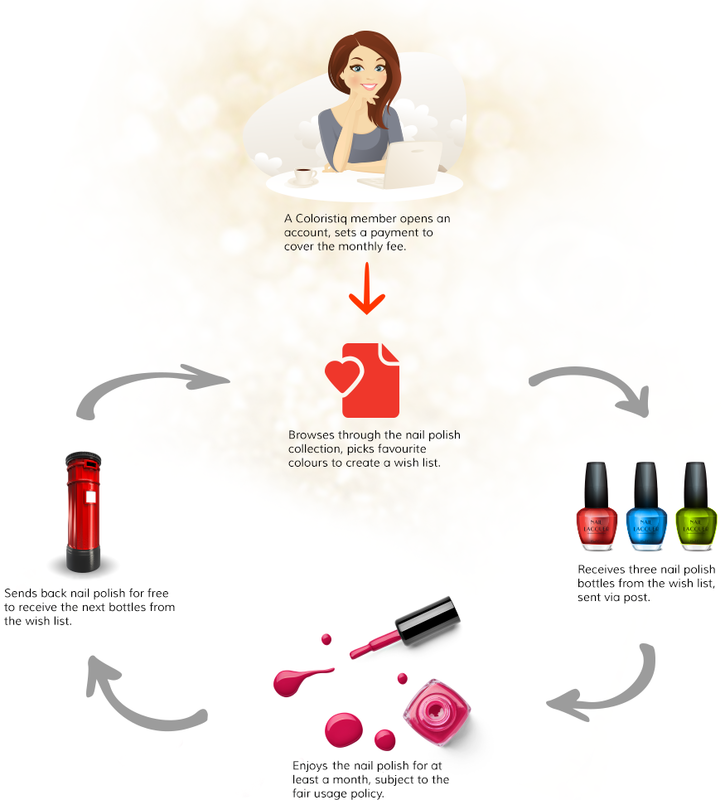 Sharing nail polishes is pretty much the same as going to a nail salon and using one of their products. We treat the hygiene issue very seriously, therefore in order to ensure that we are maintaining the highest quality standards, each returned bottle is being inspected and the outside of the bottle is sanitised with a powerful industrial disinfectant before it is admitted back to stock' so there are no worries there! I don't know about anyone else but I think that this is a brilliant service and I think you should all go and sign up. Let me know in the comments if you do and which nail polishes you choose to try out first as I would love to know. I will leave a link to their website here so that you can all go and sign up, tweet me @megan_godwin if you do! Hi, My name is Megan. I am a 22 year old Law graduate from Bournemouth University. I am obsessed with everything beauty, travel, fashion and lifestyle related. This is my little corner of the internet where I'm able to share my views and opinions.